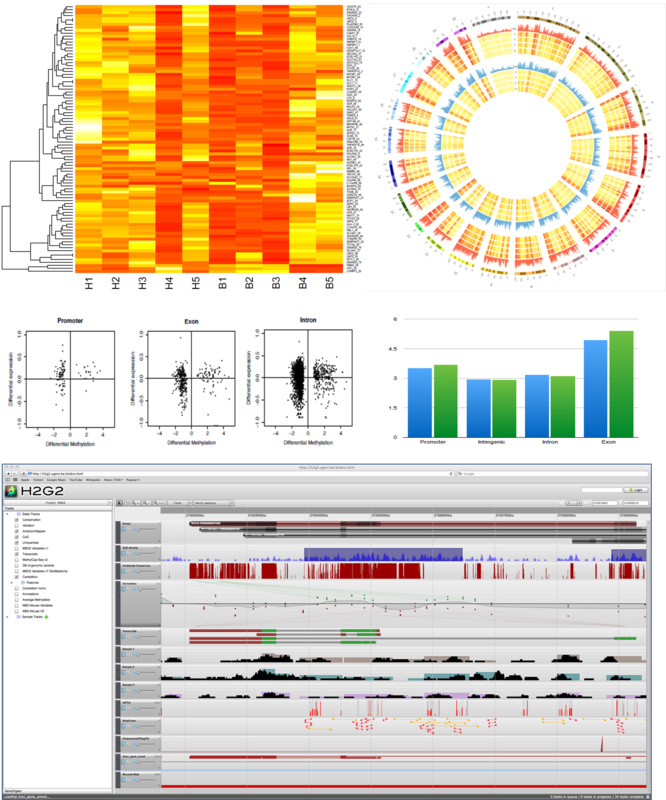 NXT-Dx is able to offer in-depth bio-informatics and/or data-analysis services to its service and non-service customers. NXT-Dx has an experienced team of bio-informaticians who can help with the analysis of your data. Whether you do not have the necessary skills in-house, your bio-informatics department is fully booked or you simply want to speed up the analysis of your data, NXT-Dx can help you. We can help you with the analysis of all of your high-througput data from sequencing, qPCR, array, etc. If you have data you can’t seem to get analyzed or you have a specific research question you want to answer, simply get in touch with us or request a quote. We can help you with cleaning and mapping of data, data visualization, data normalization, class comparison, PCA analysis, Gene-set enrichment analysis, Pathway analysis, Correlation studies, Quantitative trait analysis, Survival or time-course analysis, making of publication-ready images, etc. For any other type of analysis or specific questions, please get in touch.